The story takes place in China in 400 A.D. A servant comes rushing into the Emperor's room explaining that he has witnessed a miracle that the Emperor must know about. The Emperor plays coy with the servant but eventually lets the servant explain that he witnessed a man operating a flying machine. The servant brings him to the man who flew and the Emperor questions the man. After ascertaining that no one else knows about it and that this is the only one, he has the guards take him into custody and summons the executioner. He then shows his own technology but explains that his technology just increases beauty whereas the beauty that this man has created would wreak havoc upon the Emperor's beautiful world. This is a bit of a dark story that reminds me of Frank Herbert's Cease Fire or Theodore Thomas's Day of Succession in its brute force and clear fear of the future. 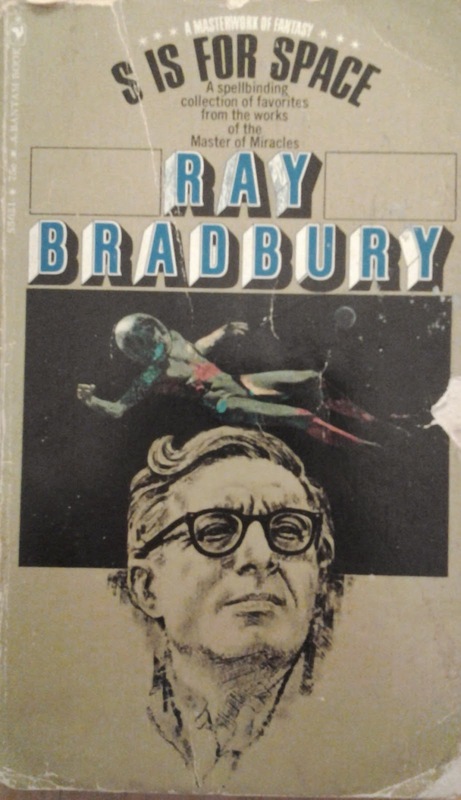 This attempt to squelch knowledge is a curious one at least coming from Bradbury who is so often fearing the future because of where technology has supposedly led us but also condemning the past for its limitations on the development of technology and knowledge.